My heart dropped when I logged onto Twitter one morning and saw the video of former Baltimore Ravens star Ray Rice punching his then-fiancee in the face. Social media blew up almost immediately after the tape was released by TMZ — people everywhere were calling the NFL out for handling the situation poorly. Some even directly addressed Janay Rice, telling her she should leave her husband and the situation. Things got even messier as people started accusing NFL commissioner Roger Goodell of deliberately covering the situation up before the video leaked, allowing him to punish Rice with only a two-game suspension. After footage depicting the elevator punch surfaced, the NFL suspended Rice indefinitely. The fact that Rice hit his then-fiancee is sickening. The fact that the NFL only initially suspended Rice for two games when players have been handed harsher punishments for testing positive for marijuana is sickening. But the fact that what happened allowed people – many of whom have never dealt with or seen domestic violence – to pass judgment and even deem themselves qualified to offer his wife advice is the most sickening to me. This summer, I witnessed someone I care about getting hit by her partner during a particularly bad fight. When I ran in the door, words cannot describe the horror and helplessness I felt when I saw him acting violently toward her. After the incident, I tried to talk to her about it. I pleaded with her to leave the house for a while because I truly felt like it wasn’t a safe place for her to be. “If it happened once, it can happen again,” I insisted over and over again. At first she agreed with me and promised to start looking for apartments in the area, but after just a few days, she began to slip. The thing was I did know. As I grew more confused about how I felt about the situation, I became even more frustrated with her. I wanted her to leave because walking away is the obvious answer to the problem, but at the same time I knew she bore many of the responsibilities of keeping her family together. I tried talking to my friends about what I was dealing with. A few urged me to tell the couple to seek professional help, but mostly they just listened. They knew that it was going to be hard for them to say anything that would make me feel better, and I appreciated that. I didn’t want to let what I was going through with my loved ones take over my life, and they helped me focus on other things when I needed to take a break. Meredith Vieira revealed recently in an interview that she was once in an abusive relationship and that it took her a while to leave her partner, whom she loved. She called it a “complicated issue,” and that’s what it truly is – even though it is not often recognized as such. It isn’t as black and white as you’ve probably made it out to be in your head. Yes, domestic violence is always wrong — something I’m still trying to make the person in my life understand — and it should never happen. But to walk away from a situation like that takes a lot of courage that, frankly, many people still have to find within themselves. Janay Rice changed her Instagram account settings to private after people attacked her defense of her husband. She said her family was trying to move past what had happened. She also called out the media for trying to hurt, embarrass and ostracize them. And she’s right – no one is in the position to tell her family how to heal from the abuse. That’s something they should figure out for themselves. So I’m urging you, as someone who has witnessed domestic violence firsthand, to refrain from giving oversimplified advice to your friends if you see them struggling with domestic violence. When they decide to walk away from the situation, support their decision. But in the meantime, be sensitive and understanding and don’t push them to do something they’re not ready to do. Trust me, it means so much to know that a friend is really there for you – and not just judging you. 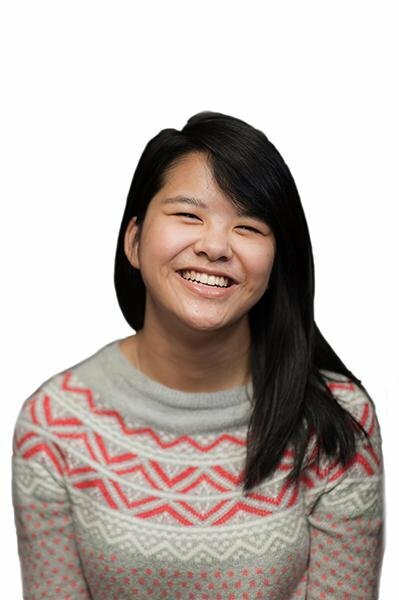 Bethany Ao is a Medill sophomore. She can be reached at bethanyao2017@u.northwestern.edu. If you would like to respond publicly to this column, send a Letter to the Editor to opinion@dailynorthwestern.com.